It's now my second trip to Alaska's Prince William Sound and we are green lit for a National Geographic documentary "Icy Killers". 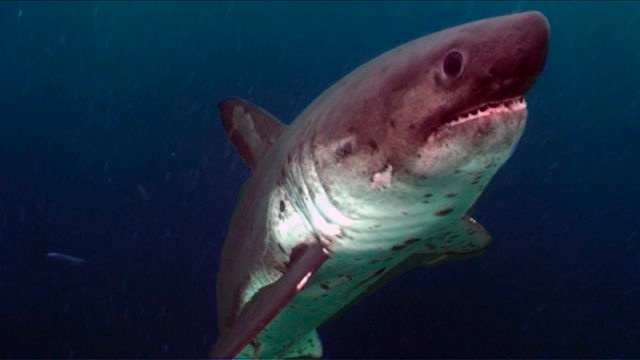 A one hour documentary on Alaska's Salmon sharks. I'd spent a few weeks in July working with Ken Corben of Dangerous Passage Productions testing our new underwater RED housings. These were the first two RED's to go underwater and shoot for a natural history doc and we had to overcome a great number of challenges. I won't go into detail about those challenges, but basically we're shooting a cinema camera ENG style with virtually no focus/iris control and shooting early BETA builds of the RED camera firmware. We were basically on a giant learning curve and relied heavily on Mike and Pat Devlin at Dangerous Passage to turn RAW images into color corrected prores files. I'll just say that the post guys spent hundreds of hours in post getting color corrected images to prores. Copyright: Baja Productions. Awesome Inc. theme. Powered by Blogger.